Real Madrid kids' watch from a branded high quality Viceroy collection. The Spanish manufacturer of high-end watches, has been working with Los Blancos for more than a decade. A great addition for any fan who appreciates elegance combined with a sporty style. 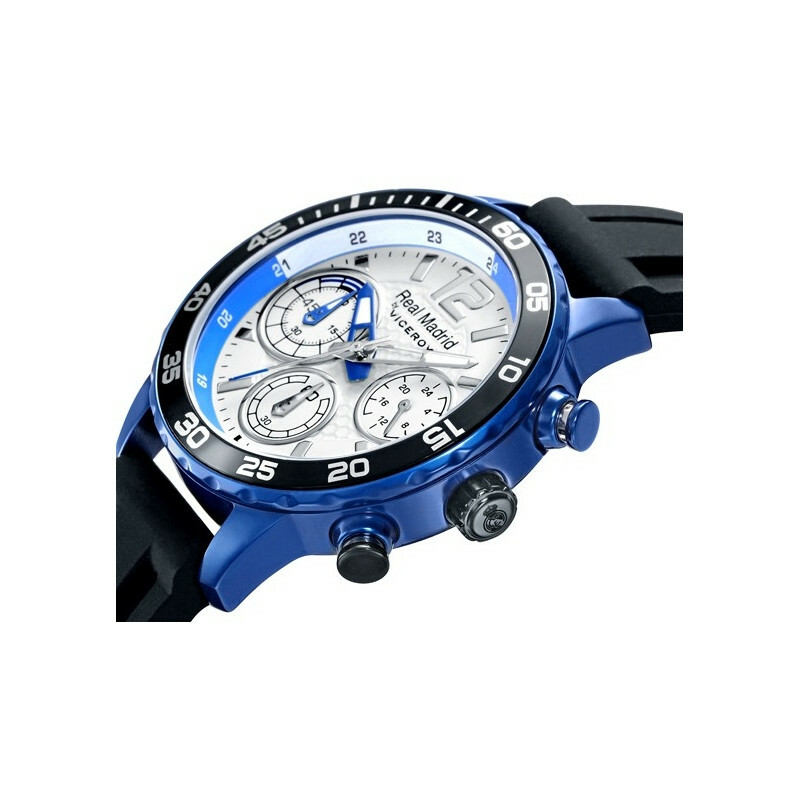 The watch is equipped with a Swiss quartz movement, thanks to which it measures time with almost perfect accuracy. Mineral glass, with which the case is closed, guarantees high resistance to cracks and scratches. 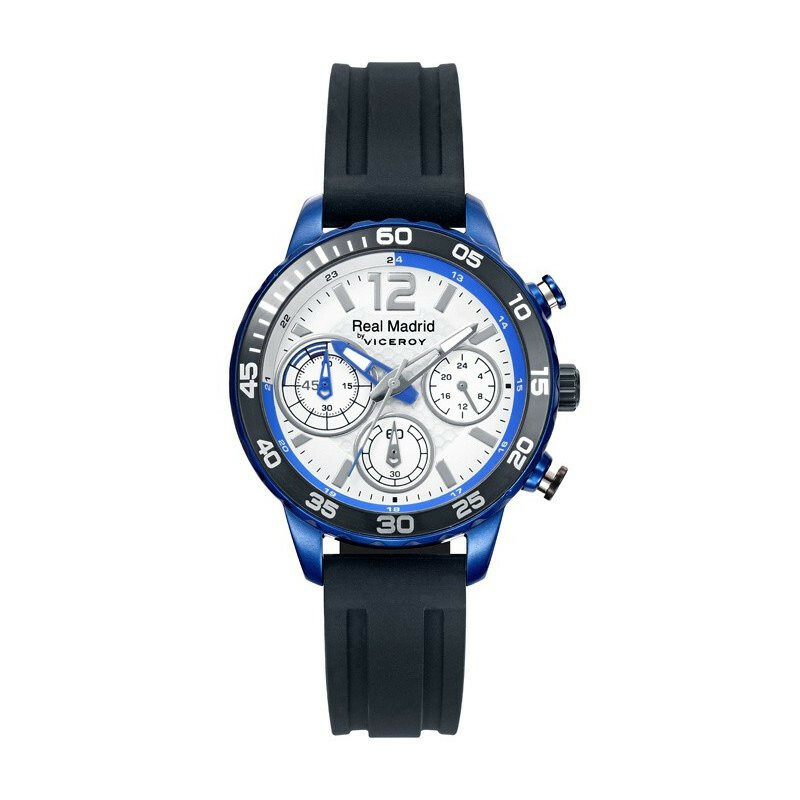 Carefully finished with club symbols, the watch emphasizes the pride of supporting one of the best teams in the world. 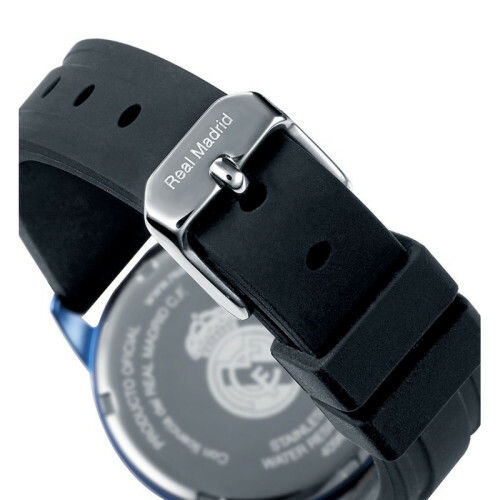 Material: case - aluminum, strap - silicon, glass - mineral.